Keep up to date with the latest news from Nicholson Ryan Lawyers. 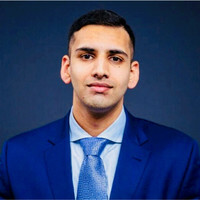 Nicholson Ryan Lawyers are delighted to announce that associate, Veroshan Sripragasan, has been shortlisted as a finalist in the Mergers & Acquisition category of this year’s Lawyers Weekly 30 under 30 Awards. Lawyers weekly 30 Under 30 is Australia’s largest independent awards program that recognises excellence in young lawyers – those that are raising the bar on what it means to be a leader for the next generation. Winners will be announced at a prestigious awards ceremony on Friday 10 May 2019 at the Sofitel in Sydney.